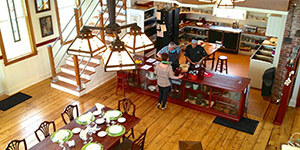 The Table is New London’s award-winning culinary studio with a focus on experiential cuisine. 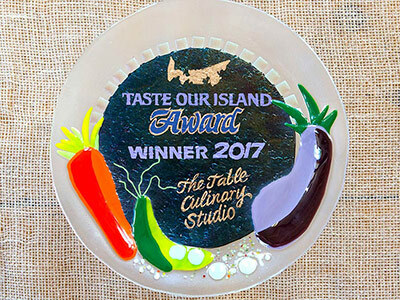 The winner of the 2017 Taste Our Island Award, The Table is dedicated to using and promoting the local foods grown and harvested right here on Prince Edward Island. Cooking classes, hands-on experiences and evening restaurant dining at The Table have also resulted in international media recognition for bringing local history, food and culture together. 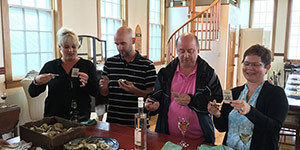 During the day, The Table offers hands-on culinary classes and experiences that showcase fresh Island ingredients, teach cooking techniques, and immerse visitors in the food and tradition of PEI through interactive demonstrations and trips to local farms and fisheries. 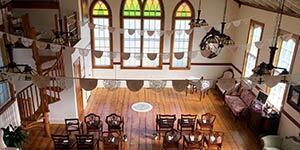 At night, The Table is transformed into an intimate Island restaurant for up to 18 guests, filling the old church with tantalizing aromas and the sound of shared stories and enjoyment as guests gather together around the large harvest table and share a family-style meal and evening’s entertainment with old friends and new. 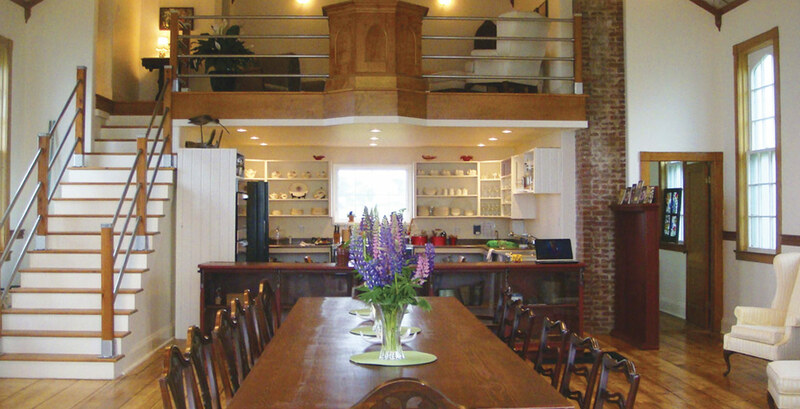 Come join us in the kitchen or around the table to experience fine food, community and laughter. Now taking reservations for 2019. Call 647-920-1542 now for 2019 availability! Find EVENTS and CLASSES for a selected date. 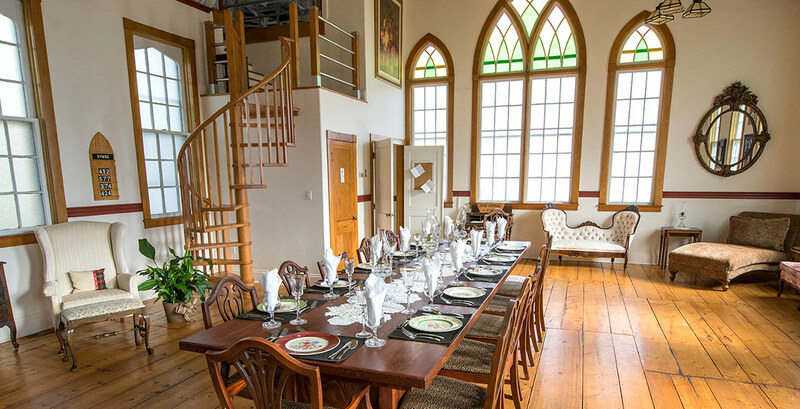 Not only did we have 2 fabulous meals at The Table but we took a cooking class as well, it was the highlight of our trip to PEI. I highly recommend it! 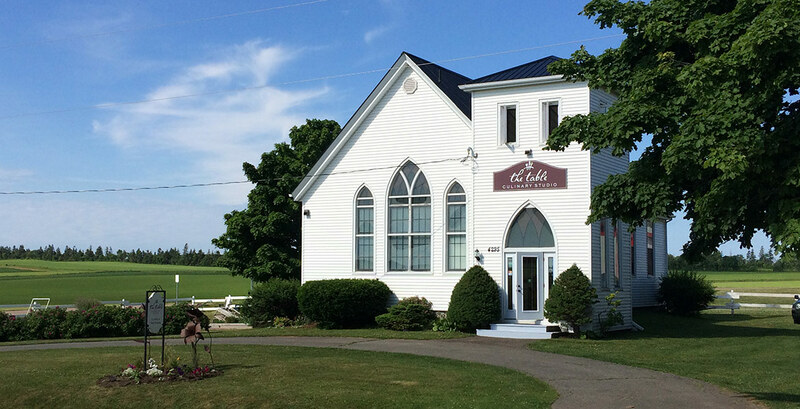 No matter where you stay on PEI, this experience is worth the drive! From the wonderful ambiance, exceptional food and the experience of actually sharing a meal with new friends The Table has it all! 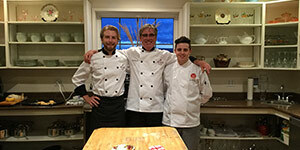 The best cooking class on the Island. I went there to do a seafood cooking class. This is not a demo class. They let you work in pairs and get your hands dirty, so to speak. If you are interested in cooking and learning, this is the place you need to go. This is my first trip to the table and won't be my last. Wonderful venue. The whole concept of come join us at a family table for a beautiful dinner was amazing. 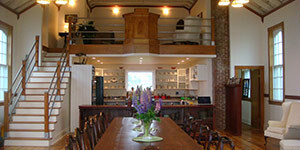 It is such a friendly experience and you get to know other guests. Strangers who turn out to be great dinner companions. From the surroundings, to the people, to the meal - a winning combination!!! What a great experience. 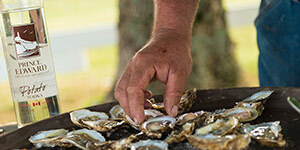 If you love seafood and a great experience, this is a must do when in PEI. My wife and I had a great 5* experience at The Table for the Bounty of the Sea culinary class. The hosts were fantastic, a great young chef instructing the class and a wonderful group of fellow "students" made for a first-rate experience. 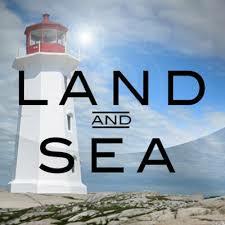 I can highly recommend for both visitors and Islanders alike. Wow! Had a volunteer appreciation meal with a group. Best restaurant experience on PEI and the food is exquisite. HIGHLY RECOMMENDED!